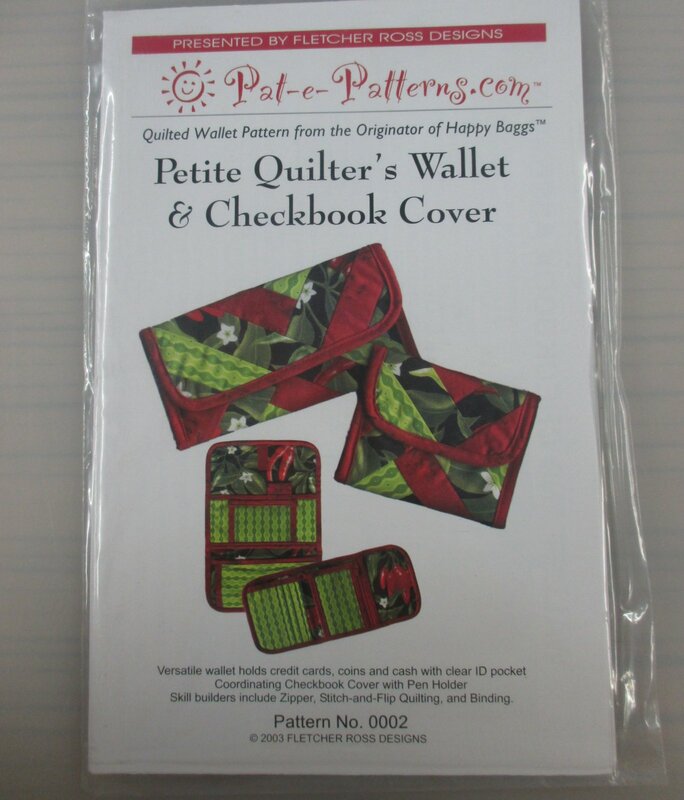 Quilted wallet & checkbook cover pattern presented by Fletcher Ross Designs. From the pattern packaging: "Versatile wallet holds credit cards, coins, and cash with clear ID pocket. Coordinating checkbook cover with pen holder."